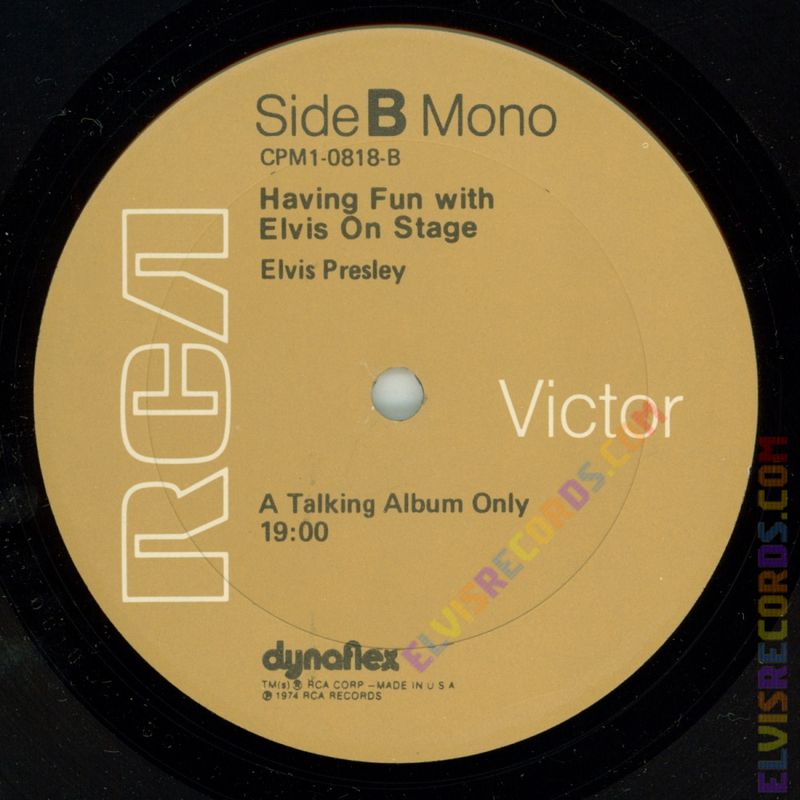 Cover Front: RCA and catalog number upper left corner. 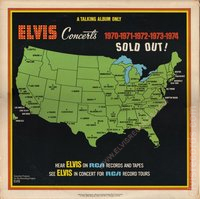 A Talking Album Only upper right corner. Cover Back: RCA Copyright on bottom centered. 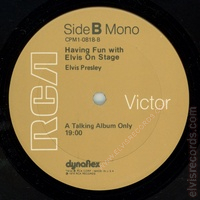 Cover can be found in both typical thick corrugated or thin white stock. Disc: (1976) Tan label. Dynaflex vinyl. 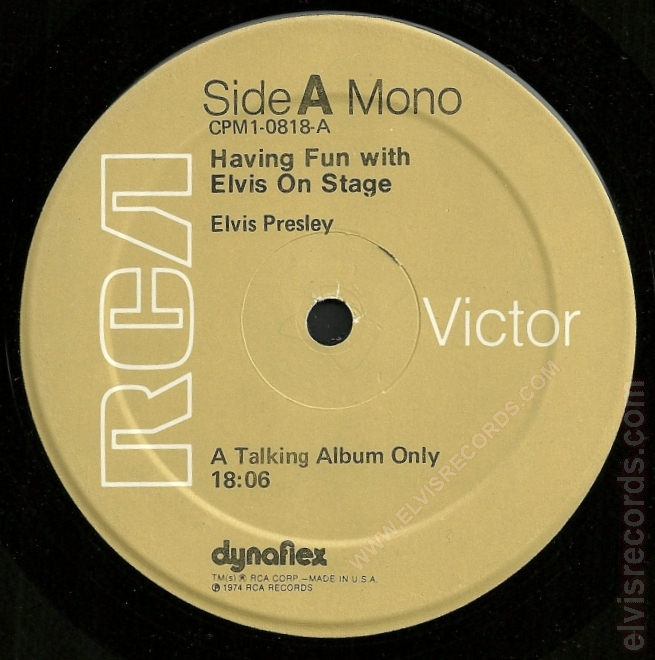 Rigid vinyl. 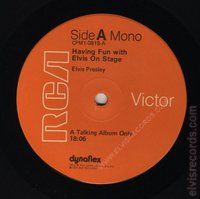 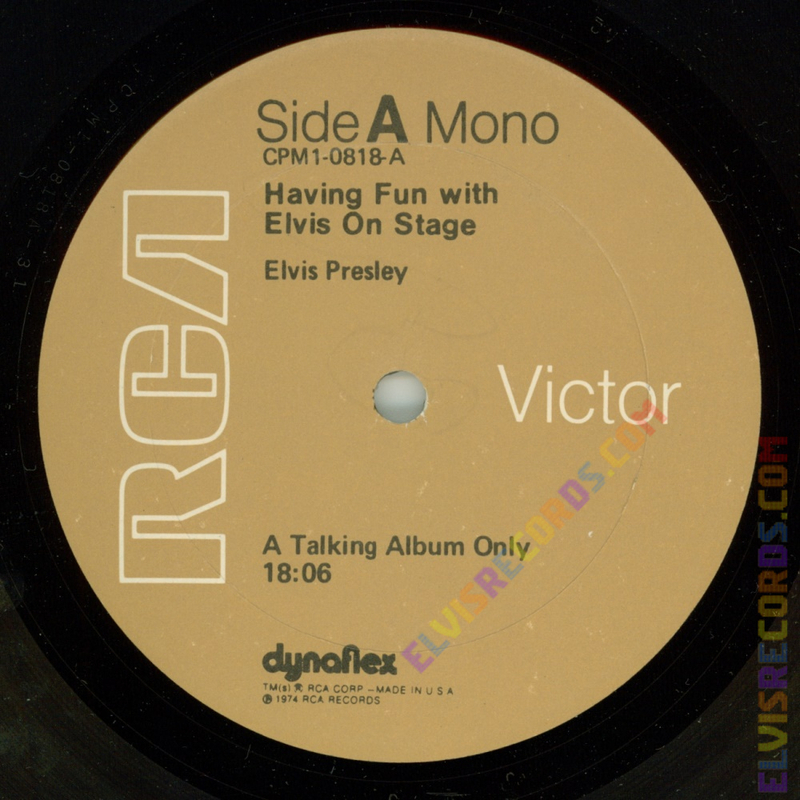 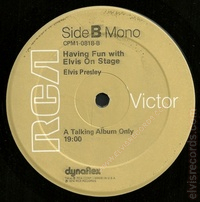 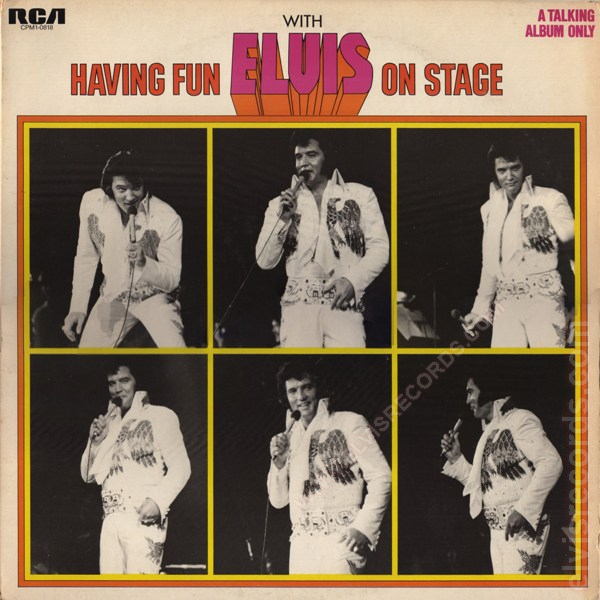 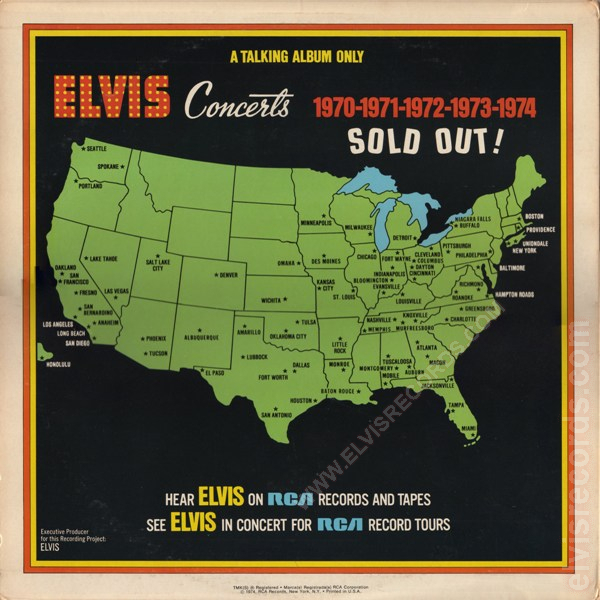 Originally released on Boxcar Records as Having Fun With Elvis On Stage with no catalog number and re-released as AFM1-0818 Having Fun with Elvis On Stage.